Glas Eileanan Lighthouse (Grey Rocks) lies on the small islets off Rubha an Redire headland in the middle of the Sound of Mull. 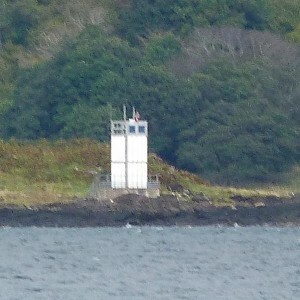 The light is a modern aluminium clad skeletal tower placed on the island in 2001 when many of the minor lights in the region were modernised. Character: Flashing White every 3 seconds. Focal plane: 6 metres. Range: 5 nautical miles. 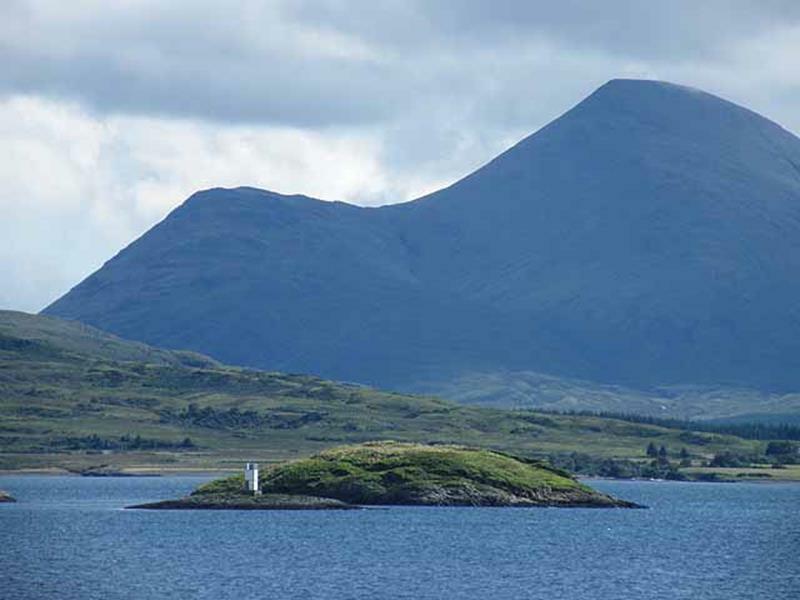 Position: 56 29.8 N 005 42.7 W.
Ardtornish Point Lighthouse was established by David Stevenson in 1927 as a cast iron octagonal tower on Ardtornish point, a headland jutting out into the Sound of Mull from Morvern. However, in 2001 this was replaced by a skeletal tower clad with white aluminium panels. The solar powered light is a sectored light showing two flashes every 10 seconds, either, red, green or white depending on the direction of approach. Character: A Sectored light. Two flashes Red, Green or White every 10 seconds. Ranges: White 8 nautical miles; Red and Green 5 nautical miles. 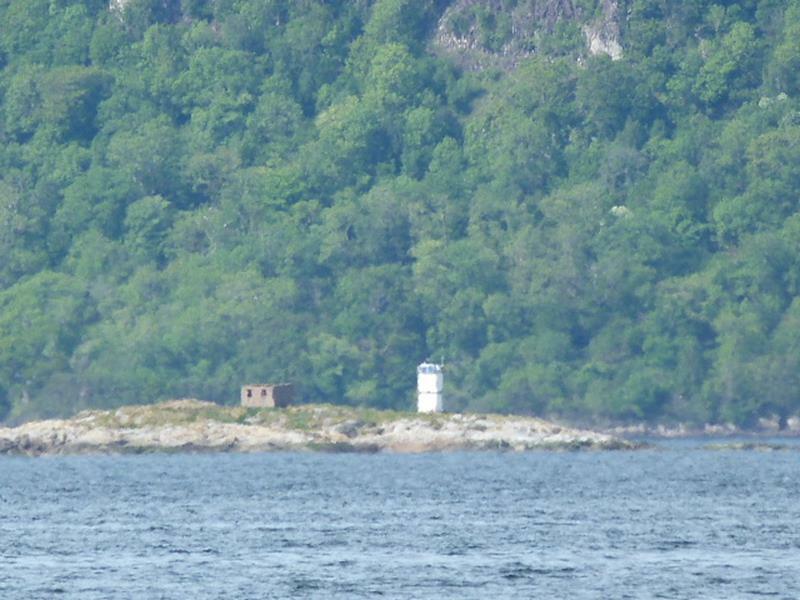 Position: 56 31.09 N 005 45.21 W.
Green Islands (Eileannan Glasa)Lighthouse was first established in 1906, but in 2001 a tower similar to Ardtornish Point lighthouse was erected on the site. 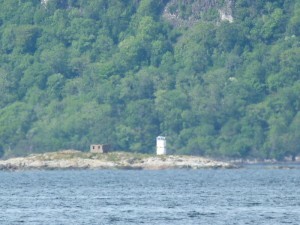 To distinguish it from Ardtornish it has a white light flashing every 6 seconds. The light is on a rock known as Dearg Sgear, the northernmost of the Eileannan Glasa, which are in the middle of the Sound of Mull about two nautical miles north east of Salen. Character: Flashing White every 6 seconds. Focal Plane: 11 metres. Range: 6 nautical miles. Position: 56 32.3N 005 54.7W.